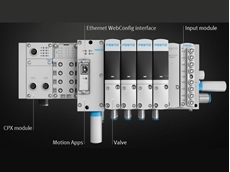 The brand new VTEM Motion Terminal propels pneumatics into the era of Industry 4.0 with apps that can replace over 50 individual standard components. 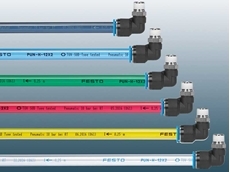 Polyurethane-based tubes are highly popular in standard applications primarily due to their excellent flexibility. 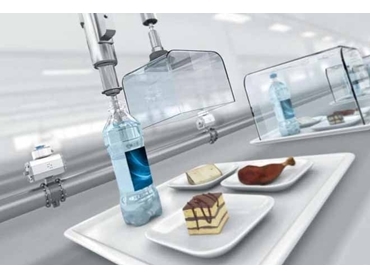 Automation technology in food production aims to protect the consumer and the manufacturer’s brand by ensuring hygiene, efficiency, productivity and taste. 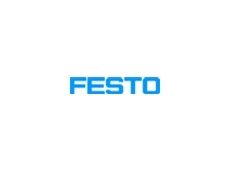 This white paper by Festo covers potential hazards in food production and processing, valid standards and directives for hygienic automation technology, material selection and design for hygienic machinery components as well as cleaning machinery parts in the food sector in addition to tips on implementing a hygienic food production system. Significant risks in the food sector are caused by biological factors such as decay caused by micro-organisms and their toxins, chemical factors including cleaning and disinfecting agents and lubricants, and foreign particles from machines, often caused by corrosion or abrasion. All risks must be factored in when designing a machine to hygienic standards with action being taken to prevent or reduce these risks. There are several standards and directives that form the basis for enabling people to enjoy food without risk. Implementing these regulations during production reduces the risks for the manufacturer and the consumer. The aim of the EC Machinery Directive 2006/42/EC is the protection and safety of consumers and operators wherever food comes into direct contact with machine parts and components. The application of standards and directives for design (EN 1672-2/EHEDG Doc 8 and Doc 13) and materials (FDA CFR Title 21, ISO 21469, 1935/2004/EC) provides additional support for food safety. The European standard EN 1672-2 for food processing machinery defines three production zones including the food zone, the splash zone and the non-food zone. The food zone encompasses all system parts and components that are mounted directly in the food flow and come into contact with foodstuffs, potentially causing contamination. In addition to being easy to clean and disinfect, these system parts should be corrosion-resistant, non-toxic and non-absorbent with a smooth, continuous or sealed surface reducing the chance of food leaving residue. Only special food-compatible lubricants may be used. In the splash zone, machine parts and components come into direct contact with foodstuffs, but the food does not end up back in the product flow. However, these parts must also be designed and built according to the food zone criteria. Non-food zone machine components do not come into contact with the product. However, the system parts used in this zone should be manufactured from corrosion-resistant materials and be easy to clean and disinfect, as sources of infection can develop over time. Typical materials include AISI-304, AISI-316 and AISI-316L (DIN material no. 1.4301/1.4401/1.4404), commonly known as V2A, V4A or INOX. Typical aluminium grades include AlMg2Mn0.8, AlMgSi1 and AlMgSi0.5. Aluminium components can be rendered resistant to cleaning agents through an additional coating or anodised oxide layer. Plastic components permitted to come into direct contact with food must comply with Regulation 1935/2004/EC and the Plastics Directive 10/2011 or the approvals of the FDA (CFR 21, Sections 170-199). Lubricating greases and oils must comply with FDA regulations (especially Section 21 CFR 178.3570) or ISO 21469. For parts that will unavoidably come into sporadic contact with foods, approved lubricants as per NSF-H1 must be used. Manufacturers in the food and beverage industry must ensure complete product safety to protect the consumer. Components and systems must be designed with hygiene and ease of cleaning in mind to guarantee exemplary cleanliness, shortest possible cleaning times and minimal expense. For instance, to avoid drives failing in aggressive environments, the component materials must have certain qualities that make them suitable for reliably withstanding the prevailing ambient conditions, as well as guaranteeing full functionality and a long service life. Seals and lubricants that comply with FDA regulations are recommended for system components that come into contact with food. Valve types are available for normal cleaning or for applications using intensive foam cleaning. Using dry-running seals ensures that washed out machine components still function reliably. Many potential sources of contamination in food and packaging systems such as bacteria, chemical influences or corrosion particles in the factory can be eliminated with just a few design tweaks. Easy-to-clean, corrosion-resistant system components make food production safer. The consumer expects high-quality products that have been hygienically produced, dispensed and packaged by the food industry, which is why customer-specific process and factory automation solutions are an important part of any hygienic value-added chain. This requires a partner who is experienced in the field of automation technology and has the best possible expertise with regard to suitable technical components, as well as a thorough understanding of all the processes along the value-added chains of system manufacturers and food producers. This is the only way to protect the consumer and the manufacturer's brand.